London: Michael Joseph Ltd, 1993. 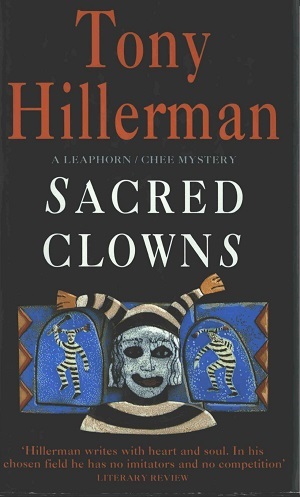 The cover was illustrated by Janet Pontin and depicts a Sacred Pueblo clown with a tiled background of other clown figures. Format: Hardback, 22.4 x 14.2 cm. Binding: Black boards with the author, title, publisher's logo, and publisher are printed in white vertically on the spine.